With less than 74 days to go before the UK deadline, a no-deal Brexit is more likely than ever. If the UK leaves without a deal, UK car exports to the EU would become subject to a 10pc tariff under World Trade Organisation rules. A subsequent devaluation of the pound could see European car prices rise as much as 21% in the UK and UK cars in the EU by around 13%. A hard Brexit would also impact on the cost of repairs, as importing UK-manufactured vehicle parts would be subject to tariffs, which the UK Society of Motor Manufacturers and Traders (SMMT) have calculated would average about 4.5pc on the cost of parts. To further complicate the issue, parts fall into three categories: parts manufactured fully in the UK would be subject to the full tariff; parts manufactured in the EU but distributed into Ireland from a warehouse or distribution centre in the UK would have no tariff but would be subject to long delays as customs would need to be cleared; and finally, parts manufactured in the UK, but using components manufactured in the EU, may have a lower tariff to reflect the EU input. 2018 saw used imports surpass the 100,000 mark for the first time as the decline of sterling impacted on car sales. Apart from the loss of revenue to the Exchequer, a worrying aspect is the fact that over 75pc of imports into the country are diesel. In the event of no deal, imports from the UK would no longer have an automatic ‘right of entry’ under EU single market rules, so Ireland could, in theory, require the fitting of metric speedometers or enforce safety and environmental checks. In the event of a hard Brexit, the Government would be free to legislate against allowing the importation of older, more polluting vehicles. As the regulation of CO2 emission levels continues to tighten in Europe and worldwide, the impact is likely to be higher costs. In addition, tougher tests for emissions and fuel efficiency (WLTP) was introduced for all new cars last September, and many new car prices have increased. The 1% surcharge, introduced in the most recent Budget, added an average of €400 to the price of a new diesel car from January 1. Insurance premiums remain the number one financial concern for Irish motorists. The cost of car insurance is estimated to have climbed by 70pc in the past few years, with many ordinary motorists priced off the roads. While the CSO may be recording a fall in insurance premiums for last year, premiums have risen so significantly that the small reductions are not being seen. And if there is a hard Brexit, will we still be able to take our cars to the UK? It is likely the situation with car insurance will revert to what was in place pre-1992. When traveling outside the EU, a travel document called a green card was needed to guarantee insurance coverage. Post-Brexit, if you are driving to the UK, you will need to let your insurance company know your departure and return dates, and some insurance companies may charge for this. In 2017, diesel accounted for 65% of the Irish new car market, with petrol taking 31pc and alternatively fuelled vehicles just 4pc. For 2018, diesel’s share fell to just under 55%, with petrol jumping to 39pc of new car sales. Looking further ahead, the share of diesel is likely to revert to pre-2008 levels and by 2021 the market is likely to be 55% petrol, with alternative fuels (electric and hybrid) accounting for 20pc and diesel making up 25%. Volatility is unlikely to go away, so oil prices remain difficult to predict. The possibility of an economic downturn, the US-China trade war and the level of compliance by Russia with Opec output limits are all likely to affect prices; however, oil prices could remain under pressure in 2019 as the world is still producing more oil than it needs. According to a 2015 SEAI report on energy security, 76% of refined fuel product is imported from the UK, which in the event of a hard Brexit would likely be subject to a tariff of at least 3% under WTO rules for petroleum products, passed on to consumers at the pumps. But as 60pc of the pump price is already made up of taxes including carbon tax and VAT, in the event of a hard Brexit, an increase due to a 3& tariff would be nominal. PCP finance is expected to be a key driver of new car sales next year. However, such finance works best when used car values remain stable. 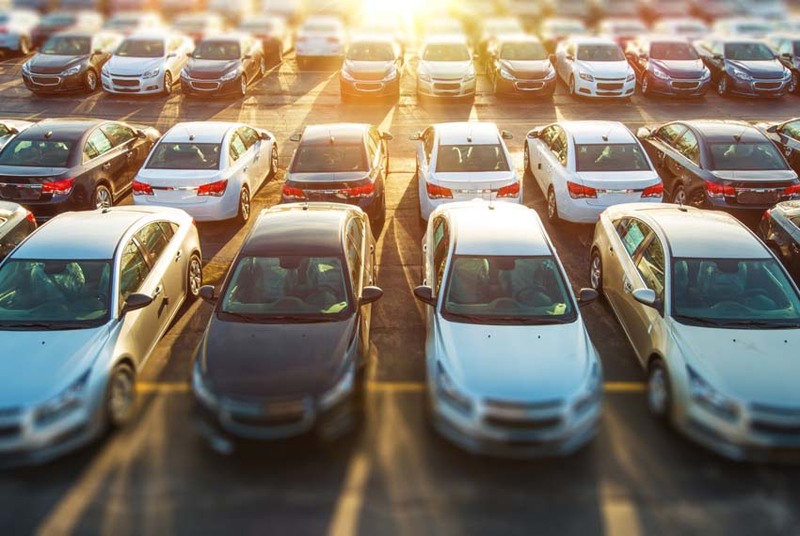 Dealers and distributors will need to take a cautious approach to residual values, as the market in the UK continues to influence used car prices in Ireland while maintaining consumer demand for new cars. The transition to emission-free mobility has been slow, but 2019 might be a landmark year. Two new electric cars will place low-cost electric motoring in the reach of many households. The Hyundai Kona, with a range of 449km, is available to order from January priced at €37,630, while the Kia Niro EV will be here in time for 192 sales. Kia reckons it can drive up to 455km on a single charge. Full Irish specification, pricing, and the on-sale date will be announced nearer the launch, but it’s expected to be priced around €33,000. While the public charging network here is unreliable and in need of substantial investment, 2019 will also see an increase in wireless induction charging.